Kiser Lake beach is under an advisory to swimmers and waders due to toxic algal bloom. Children, the elderly or people with sensitive immune systems should not swim or wade in the Kiser Lake water due to high levels of microcystin during this public health advisory, which was issued by the Ohio Department of Natural Resources. 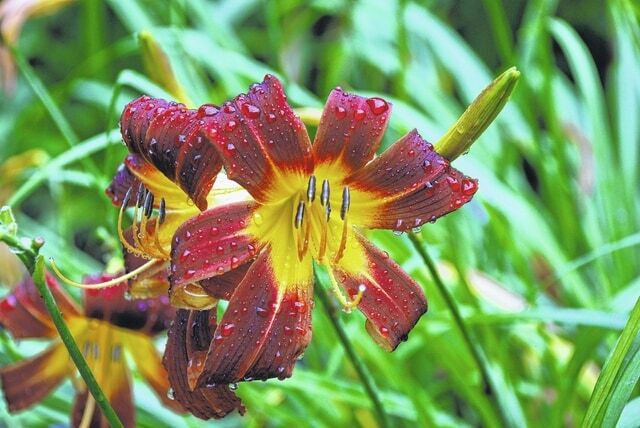 This stalk of lilies holds rain droplets on its petals after a recent storm. 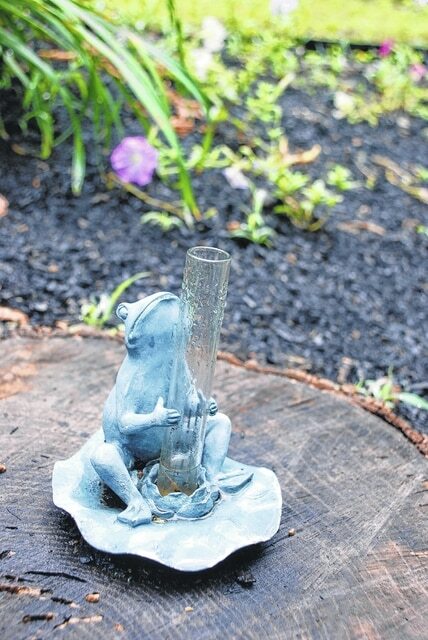 A whimsical frog rain gauge awaits the next shower. 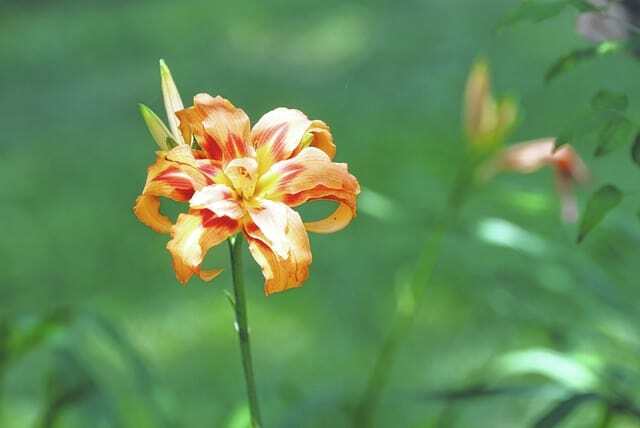 This single lily stands out against the backdrop of a lush green lawn. 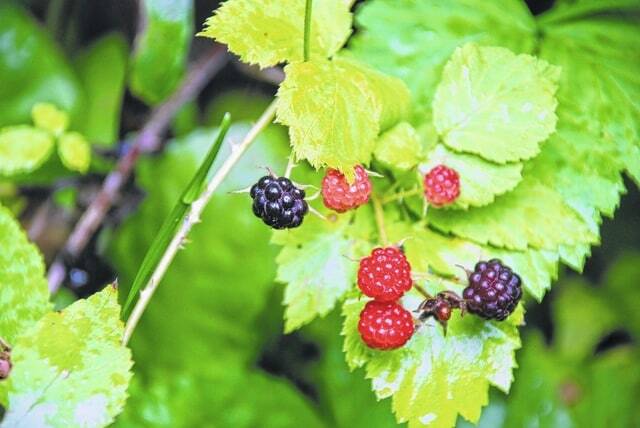 Black raspberries grow thick and natural along a woodland border. ST. PARIS – It’s been an abundant year for summer-blooming perennials and native berries. Heavier, more frequent than normal rains have inundated lawns and gardens regularly this summer, but flooding and saturation of ground continue to be a problem. The area is predicted to have sunny, dry weather starting today with heat and humidity returning this weekend. The rain has coincided with Kiser Lake’s recent contamination advisory for swimmers due to a toxic algal bloom, which was detected during monitoring on July 11. 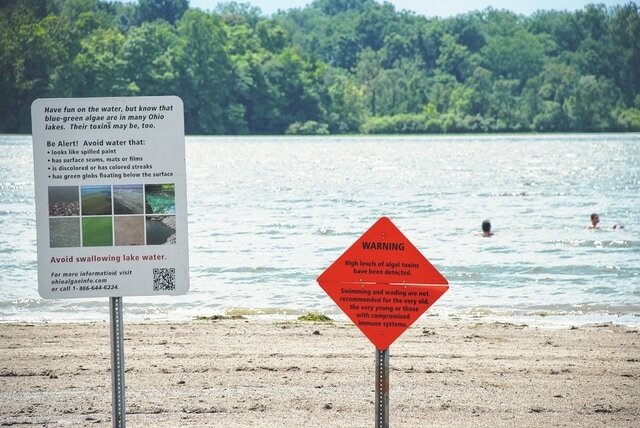 Preceding the algal bloom, the lake had high bacteria levels, according to the Ohio Department of Health’s “BeachGuard” website. Children, the elderly or people with sensitive immune systems should not swim or wade in the Kiser Lake water due to high levels of microcystin during this public health advisory, which was issued by the Ohio Department of Natural Resources. When microcystin levels exceed 6 parts per million, the state issues a public health advisory. Fishing and other activities are not affected by the advisory. It is unknown at this point if heavy rains have caused the toxic algal bloom or simply been coincidental. The advisory will be lifted once two tests of the water come back clear. A recreational no contact advisory would be issued if microcystin exceeds 20 parts per million and there are one or more probable cases of human illness or pet deaths attributable to harmful algal bloom.